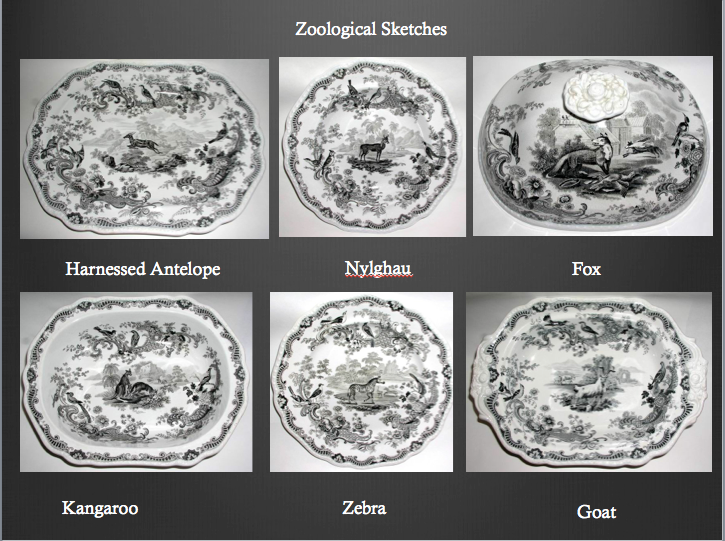 Dishy News - A Transferware Blog: SKUNKS AGAIN AND "ZOOLOGICAL SKETCHES"
SKUNKS AGAIN AND "ZOOLOGICAL SKETCHES"
I wrote about skunks on transferware before. I was reminded of this the other night when I heard the next-door dogs barking hysterically (they don't usually do this). Our resident dog hoped to join them (this didn't happen). Through my closed windows, a terrible smell arrived; like athletic shoes in a locker room mixed with cat pee. Skunks again! They live at the bottom of our neighbor's garden. Close to our bedroom by a mere 12 feet. 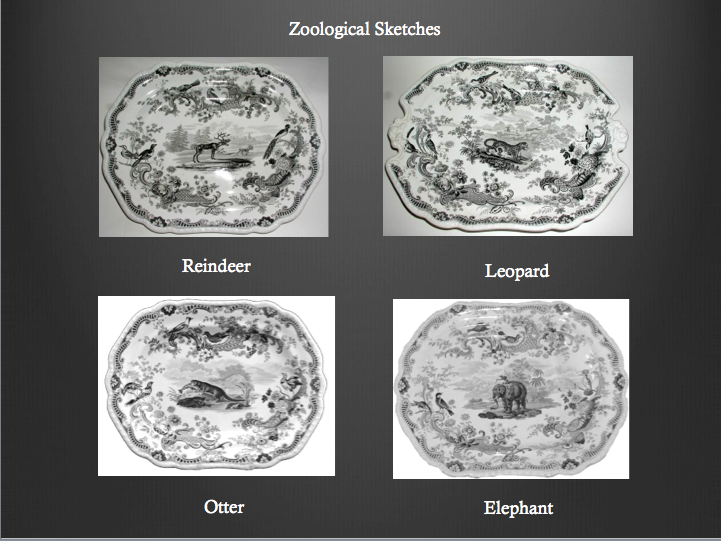 Years ago, I purchased a partial dinner service titled "Zoological Sketches" by Job Meigh (1805-1834). 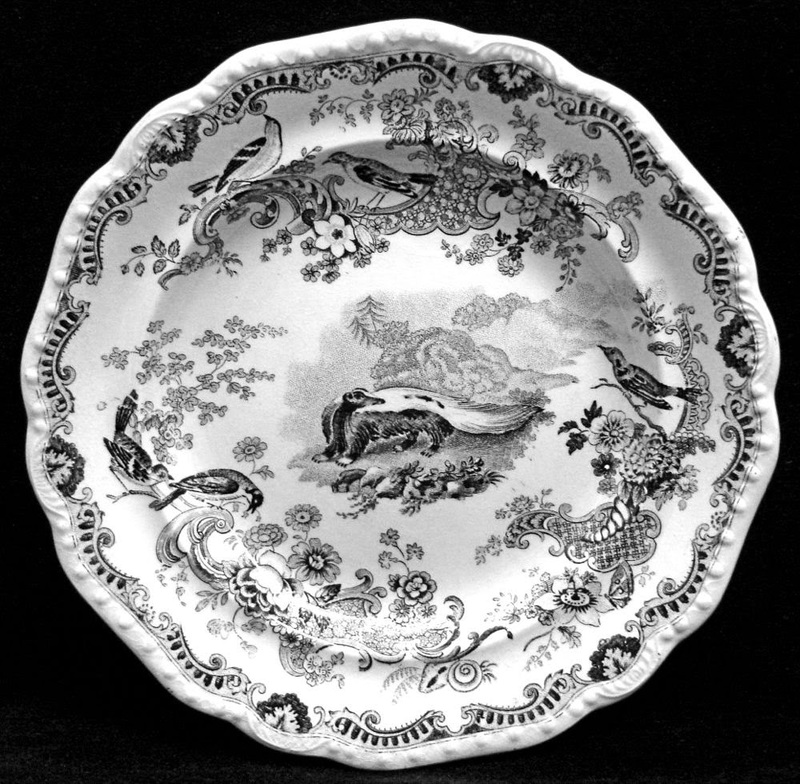 Eighteen patterns from this service are featured in the Transferware Collectors Club Pattern And Source Print Database; antelope, elephant, fox, goat, harnessed antelope, kangaroos, leopard, lion, lynx, otter, rabbits, racoon (also spelled raccoon), reindeer, rhinoceros, sheep, skunk, tiger, and zebra. 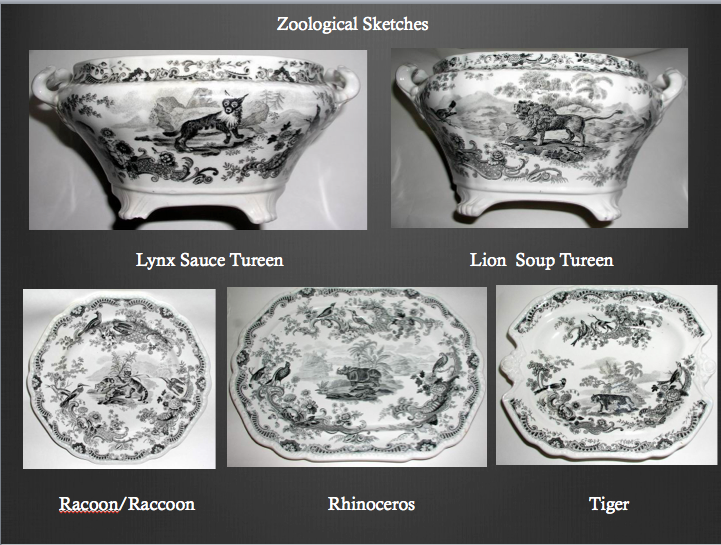 The patterns are all copied from A Cabinet Of Quadrupeds by the naturalist John Church. The two volumes were published in 1805. Most of my dinner service sold quickly. The lion, tiger, and elephant went first. Nine years later, the skunks are still with me. Even a picture of a skunk, a rather attractive animal, causes people to avoid it. Source print for the "Skunk" pattern is from A Cabinet Of Quadrupeds by John Church, 1805. Above is the source print for the Skunk pattern. Notice the dog was not used on the plate. He probably was skunked! Like my neighbor's dogs.